Last year, Fitbit came out with its first ‘true’ smartwatch, the Fitbit Ionic. With Ionic, the company attempted to pack in as many features as it could into the compact frame of a smartwatch. 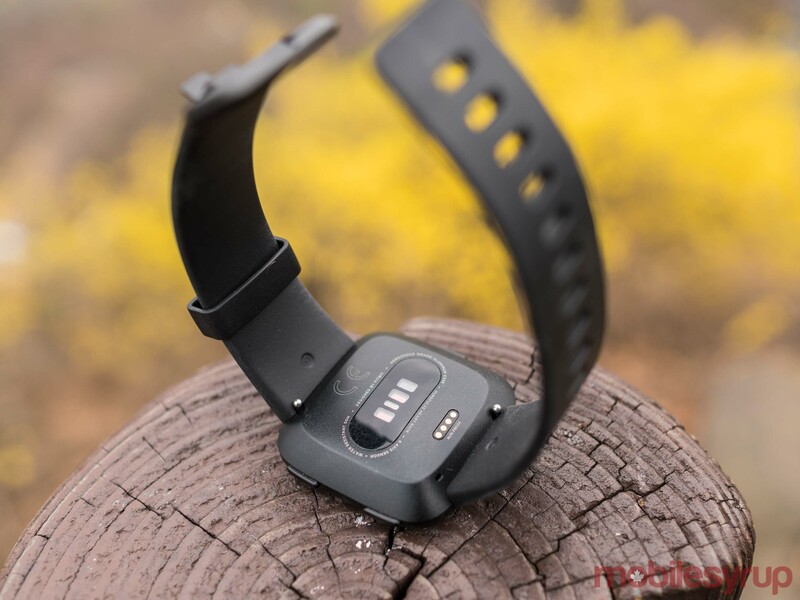 For fitness fanatics, Ionic had almost every feature they could ask for, including GPS tracking, waterproofing, standalone music playback and mobile payments. Unfortunately, a hefty price tag and less than dashing looks limited Ionic’s mainstream appeal. 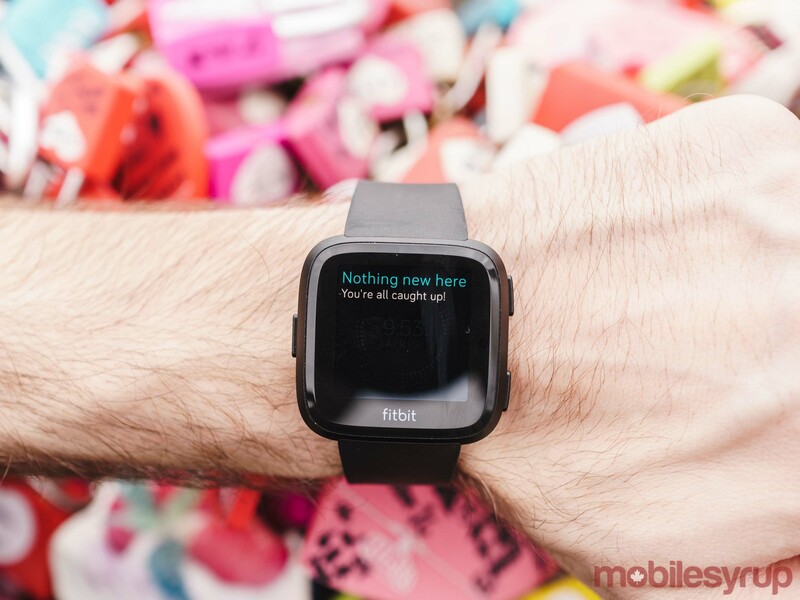 Less than a year after Ionic’s release, the company is now back with Versa. Where Ionic was an example of a company trying to do too much, the Versa is a study in restraint. It’s that restraint that makes the Versa the company’s best product to date, and yet also makes it fall just short of true brilliance. 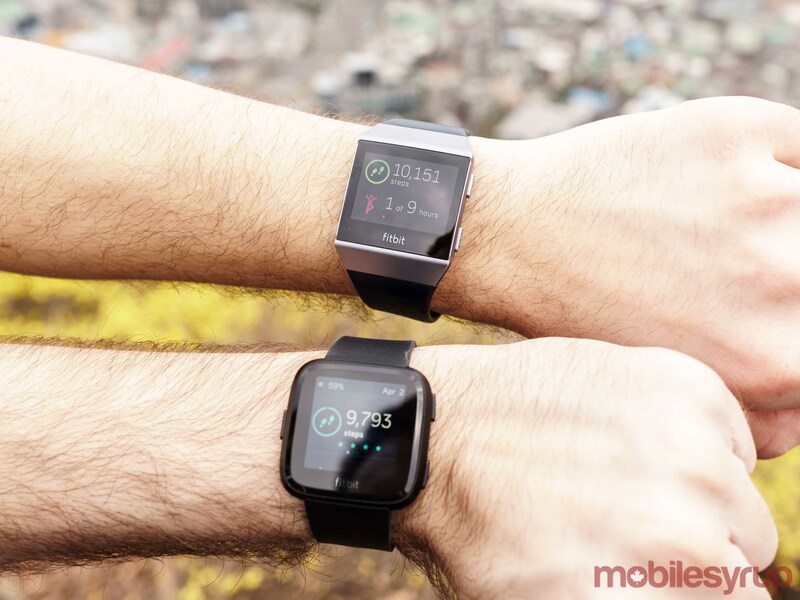 Immediately, the most readily apparent difference between Ionic and Versa are their differing designs. Even if one was being charitable, Ionic was not an attractive device. In contrast, Versa could pass as a fashion piece, though at the cost of looking like a copy of the Apple Watch. You know what they say about competition: if you can’t beat them, join them — especially if the company you’re competing against just dethroned you as the number one wearables brand in the world. Granted, closer examination reveals subtle differences between Versa and the Apple Watch. For instance, Fitbit’s latest smartwatch doesn’t feature the Apple Watch’s iconic digital crown. In practice, once you get pass its unoriginal design, Versa’s Apple Watch-inspired stylings work to its advantage. Versa’s rounded edges, flush bottom and compact frame make its Fitbit’s most comfortable device to date. With past Fitbit devices like the Charge 2, there were moments where it just didn’t feel comfortable to wear anymore. In my experience, that hasn’t been the case with Versa. Indeed, more so than past Fitbit wearables, Versa feels like it delivers on the promise of a device you all day. However, the new design isn’t without its flaws. The biggest annoyance is the new clasp mechanism. It makes switching bands cumbersome, so much so that while Fitbit loaned MobileSyrup a leather band to go along with the silicone one that comes with the device, I didn’t take to switching between bands like I did when I was using Ionic. The new clasp mechanism also means none of the bands Fitbit released alongside Ionic are compatible with its new smartwatch. Looking at press images and official renders, it’s easy to believe that the Versa features a seamless front watch face. In reality, like Ionic, it features significant screen bezel. Similarly, the company has once again decided to write ‘Fitbit’ along the bottom of the screen. It’s not a great look, but in the areas where it matters — brightness and colour saturation — Versa’s display delivers. Like Ionic, Fitbit’s new smartwatch features a bright display capable of maxing out at 1,000 nits of brightness. As a result, the display is always legible and easy-to-read, even when viewed through sunglasses with polarizing lenses. Colours, meanwhile, look vibrant and pleasing to the eye. Where the more significant differences between Ionic and Versa come to light are when one compares the spec sheets of the two smartwatches. First, the good news. Like its predecessor, Versa is waterproof up to a depth of 50 metres. Moreover, battery life, while diminished, is still comparable to what Fitbit shipped with Ionic. According to the company, Versa’s battery can sustain the smartwatch through four-plus days of continuous use. I haven’t had the watch for long enough to put its battery through multiple cycles. However, in the time I have had Versa, its battery appears able to live up to Fitbit’s battery life claims. Battery life was one of the major highlights of Ionic. Based on what I’ve seen so far, it’s already a highlight of Versa, too. As for the compromises, to get Versa to a more competitive $249.95 CAD price point, Fitbit cut standalone GPS tracking. It’s still possible to get track runs on Versa, but like with the company’s Charge 2 tracker, doing so requires taking your smartphone with you when you go running so that Versa can pull GPS data. Moreover, Vers doesn’t include an NFC chip, at least not on the base model sold in the U.S. and Canada. To take advantage of Fitbit Pay, which is supported by RBC in Canada, Canadian consumers need to buy the more expensive $299.95 Versa Special Edition. In markets outside of North America, NFC connectivity comes standard on all Versa models. The company says it’s not including NFC on the base model Versa due to the slower rate of adoption of mobile payments in North America. Together, the omission of these two features mean Versa is not capable of working as a standalone device. If you do want to leave your smartphone at home, you can still use Versa, alongside a pair of Bluetooth headphones like AirPods or Fitbit Flyer, to listen to music while you exercise. Versa can store approximately 300 songs with its dedicated music storage. On that note, I’ll also mention here that alongside Versa Fitbit announced the start of a new partnership with Deezer. Moving forward, Versa and Ionic users with Deezer accounts can download their favourite playlists to the Versa and Ionic’s dedicated music storage. 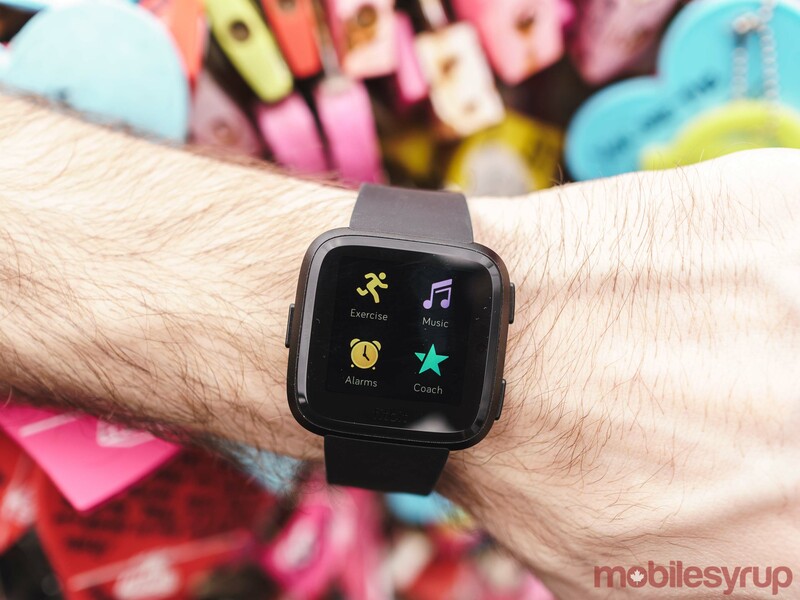 Versa users without access to Deezer are left to using the Fitbit desktop app to move music they own to their smartwatch, which remains as cumbersome as it was on Ionic. Canadian consumers can sign up for a free three-month trial when they buy Versa. All things considered, I think Fitbit cut the right features to make its latest smartwatch more affordable, but as result Versa also feels even less like a smartwatch than Ionic, a device that already felt like it was stretching the definition of smartwatch. 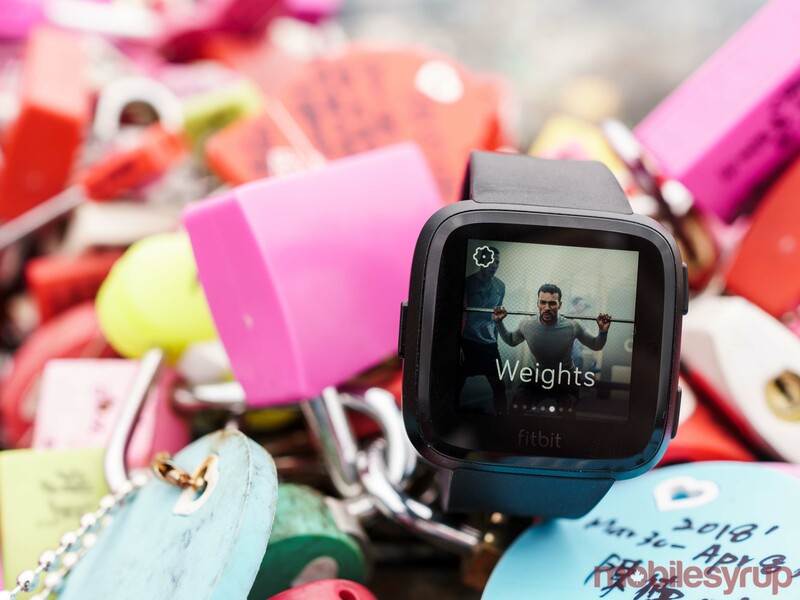 Versa ships with the latest version of the company’s smartwatch operating system, Fitbit OS 2.0. Currently only available on Versa (though it’s set to come to Ionic as well), Fitbit OS 2.0 doesn’t represent a major overhaul of the software experience Fitbit shipped with Ionic. 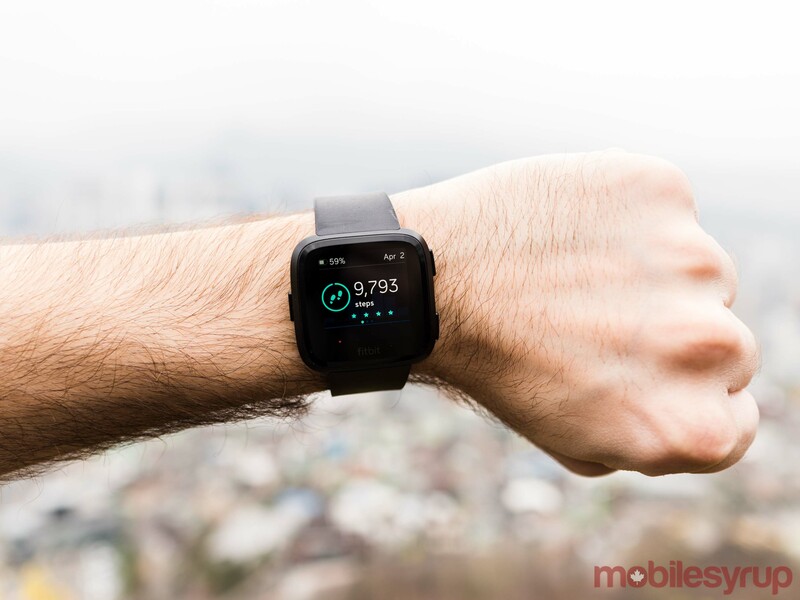 The most significant difference is that Fitbit has changed how users access the ‘Today’ dashboard, the part of the interface where Ionic and Versa users can see all their stats in one place. On Ionic, pressing the top right physical opens the dashboard. By contrast, swiping up on the Versa’s touchscreen opens its version of the dashboard. At best, this feels like a lateral improvement. It takes a moment for the new dashboard to load where the Today screen on Ionic appears almost instantly — though it does a better job of organizing this information. Moreover, while in the dashboard, you can’t use one of Versa’s physical buttons to return to the main interface. Instead, you have to swipe up on the display. As someone who prefers using physical buttons to navigate an interface, Fitbit OS 2.0 feels like a step backwards. That said, there are much bigger missed opportunities with Fitbit OS 2.0. To start, the update does nothing to improve how the platform handles notifications. While Versa, like Ionic, allows both Android and iOS users to mirror notifications, you still can’t interact with those notifications in any meaningful way. 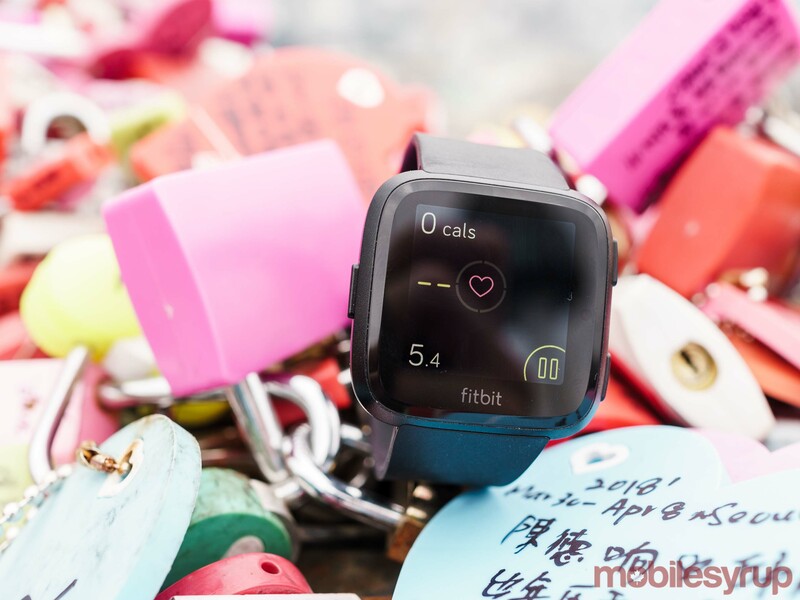 In May, Fitbit says it will update the operating system to allow Android users to reply to SMS messages with pre-populated replies, which is small solace to the large contingent of the company’s userbase that their Fitbit tracker or smartwatch with an iPhone. At this point, I’m also not confident Fitbit will nail how it implementation of smart-replies. Another issue is that the slightly different dimensions of Versa’s display compared to that of the Ionic means not all of the more than 500 and apps and watch faces that are currently available through the Fitbit App Gallery, the Versa and Ionic’s app marketplace, are compatible with Versa. However, this is not a major negative since, with the exception of first-party apps from Fitbit and a couple of useful offerings from the likes of the New York Times and Philips, the majority of apps and clock faces on the Fitbit App Gallery aren’t compelling. Quality of apps aside, most should become compatible with Versa in short order. Elsewhere, the company continues to be slow to add major enhancements to the core functions of its app. I’ve been reviewing Fitbit products for MobileSyrup for three years. In that time, the company has yet to do anything to change how its mobile app tracks activities like weightlifting. In the Fitbit app, there’s no way to track your weightlifting gains. Fitbit OS, meanwhile, treats weightlifting like a cardio exercise, tracking calorie burn instead of statistics like reps and sets. That wouldn’t be so bad if you could access the operating system’s timer functionality (or better yet, if that functionality was built directly into the weightlifting interface) to track rests, unfortunately when tracking any exercise, the only way to access any other part of Fitbit OS’s functionality is to stop tracking your current workout. Still, at least some major improvements are on the way for Fitbit’s other users. Alongside Versa, Fitbit announced “female health tracking.” Set to arrive in May, this feature will allow female Versa and Ionic users to log their menstrual cycle as well as any symptoms they’re experiencing at the time. If Fitbit’s only goal with Versa was to make a more affordable smartwatch, then the company succeeded with flying colours. Missing features and all, Versa is the company’s best smartwatch to date, and it comes at a price that makes it so much easier to recommend than the company’s previous smartwatch efforts. However, if the company’s goal was to do something more, to build a device that significantly improves on its predecessor, then the Versa feels like a missed opportunity. 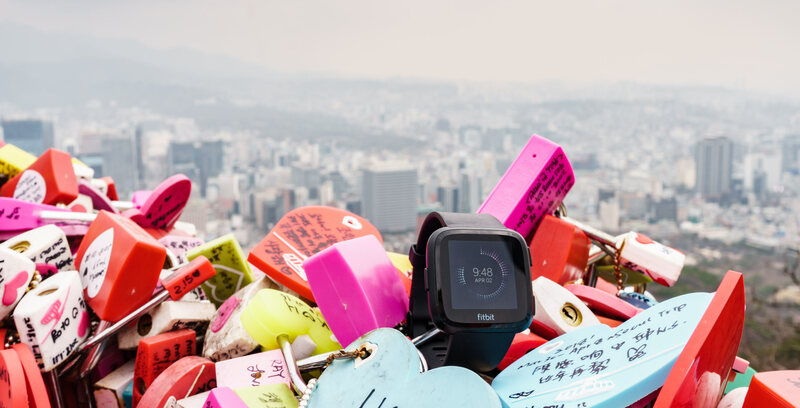 With Fitbit OS 2.0, notifications continue to be an afterthought, and while there are more apps on the Fitbit App Gallery than when Ionic came out, there’s little reason to use them over their smartphone equivalents. Granted, there’s only so much Fitbit can about the notification situation on iOS, but even on Android, which is where I reviewed the Versa, the company has done little to take advantage of Android’s open platform to build more useful notifications. For those reasons, Versa still feels more like a fitness tracker, albeit a really great one, rather than a smartwatch. If you go into this device with the right expectations, it's a great product -- just don't expect it to change how you view Fitbit or its products. "If you go into this device with the right expectations, it's a great product -- just don't expect it to change how you view Fitbit or its products"